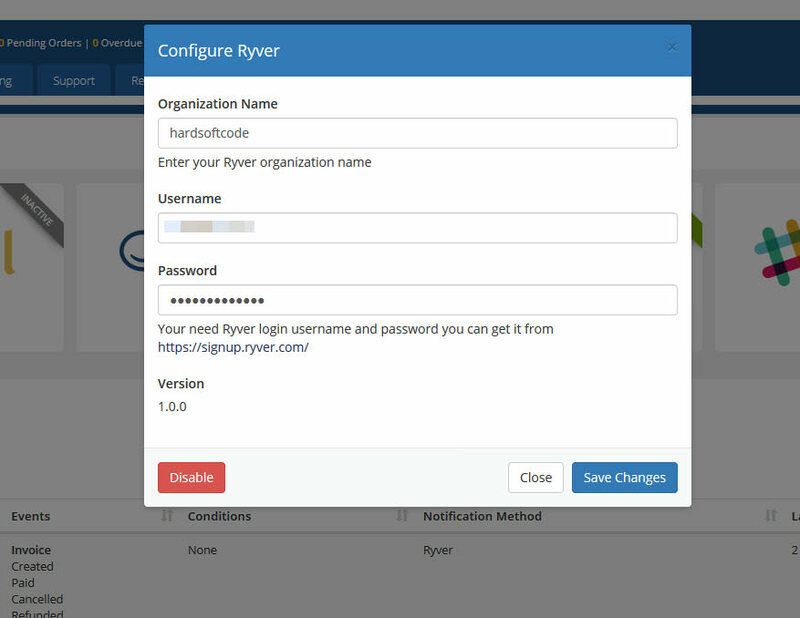 Ryver seamlessly integrates team task management with team communication. 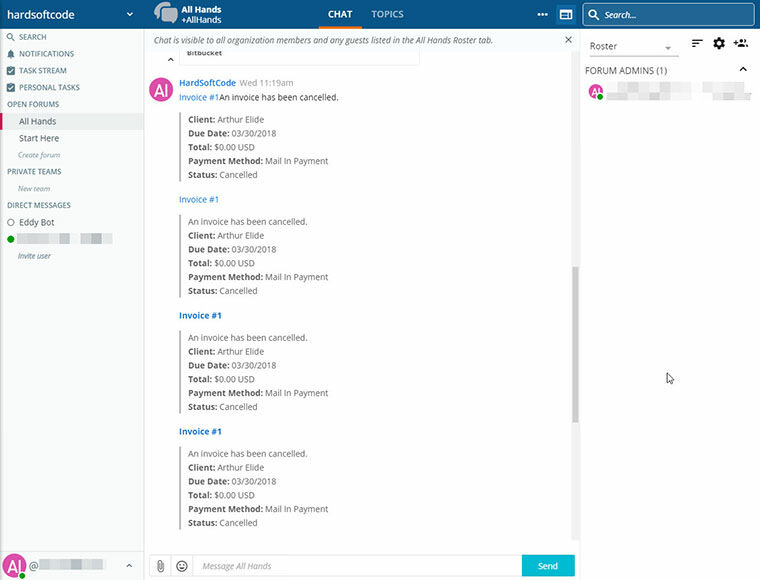 In addition, you can convert any conversation into a set of tasks. Once converted to tasks, you can actually assign tasks to people, attach deadlines and track progress. Track projects visually in a simple yet powerful way Ryver’s task boards are like columns of post-it notes on a board that everyone on a team can see. Makes it easy to see the Who, What and When of every task. Conversation management, not just team chat Ryver takes the idea of team chat to a whole new level. Conversations have many purposes and many forms, and Ryver makes it easy to categorize, manage and – most importantly – keep up with all of them. Same data structures as Slack and Trello If you’ve ever used Slack, then you know how to use most of the communications features of Ryver. If you’ve ever used Trello, then you already know how to use most of the task management functions of Ryver. The unofficial Ryver notifications module for WHMCS give you the ability to receive notifications with a setting rules that you can setup from the notifications section in WHMCS admin area. 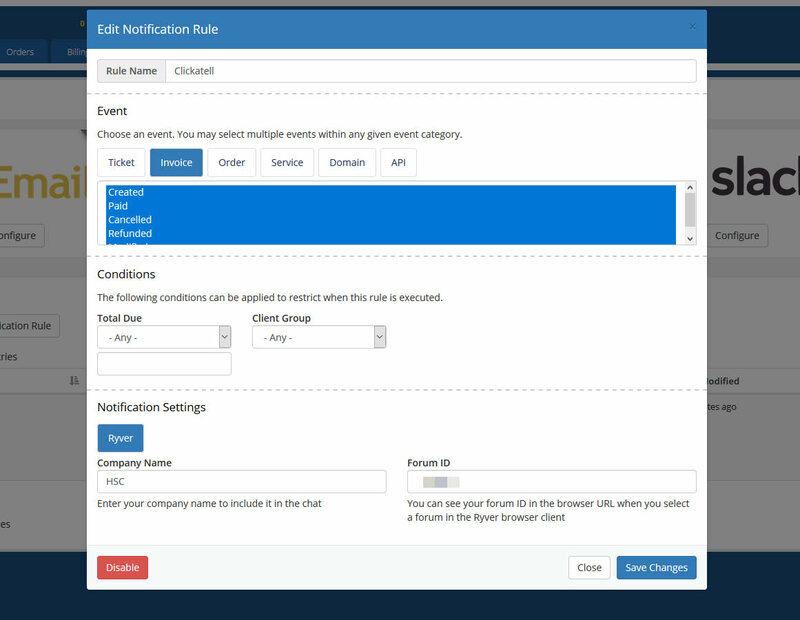 From the notifications section you can create a new notification rule form there you can select a rule name and choose an event also you may select multiple events within any given event category for example ticket,invoice,order,service,domain and API. You can apply some conditions to the notification to restrict when the rule is executed.